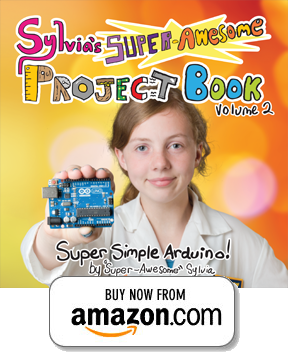 “Super-Awesome” Sylvia started making and tinkering when she was 7, and loves to try new things. 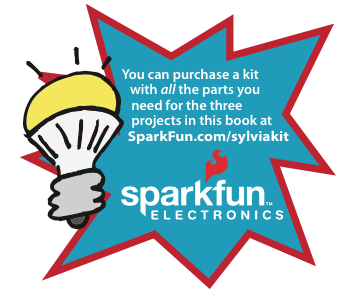 One year after visiting a nearby Maker Faire, she and her dad were inspired to create a Web show about making things modestly titled, “Sylvia’s Super-Awesome Maker Show” where she shows kids and adults that making things can be fun, easy and more rewarding than just buying something. Millions of views later, Sylvia has covered everything from hobby rocketry to sewable soft circuits. The show has garnered attention from parents and educators the world over. Learners of all ages report that the show inspires them to make things and learn lots along the way. She is a girl scout and has three younger siblings. Sylvia has been profiled on network news, People Magazine, and in the New York Times.